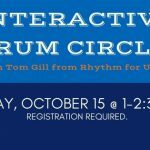 Join us for a drum circle with Tom Gill from Rhythm for Unity, where everyone plays a hand drum or other instrument. No experience required, only a willingness to try. We will play invented, in-the-moment music to amaze your ears and lift your spirits. Space is limited to 30 participants. Call the library at (262) 253-7760 or stop by the Adult Reference Desk to register. 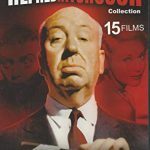 Sponsored by the Friends of the Germantown Community Library. Lego stop animation! This event is for kids 10 and up to make a short Lego stop animation film. Legos will be provided. 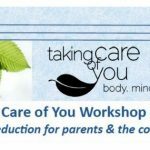 This research-based program offers practical strategies and experiences to help parents, caregivers, and community members deal with stress in their daily lives. Join UW Extension Washington County in learning how to better manage life’s challenges in healthy ways to allow you to take better care of yourself, your overall health, and others in your care. Call the library at (262) 253-7760 or stop by the Adult Reference Desk to register for this free workshop. Participants can attend either or both days. 3rd Wednesday on select months @ 1:00 – 4:00 p.m.
A memory screen is a wellness tool that helps identify possible changes in memory and cognition. It creates a baseline of where a person is at so that future changes can be monitored. It’s free and only takes 10 minutes. Memory screenings are available through the Aging & Disability Resource Center of Washington County to anyone and can be scheduled by calling Tammy Dickman at 262-335-4497.